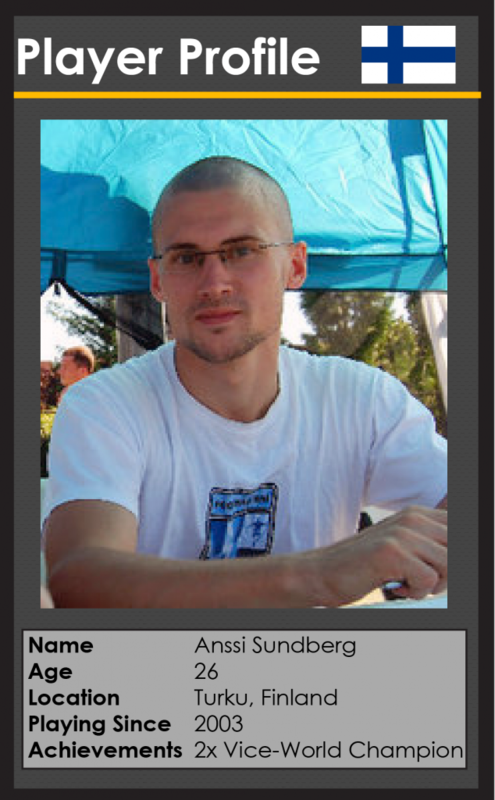 Anssi Sundberg has officially been a top tier player since 2009, when he first made the world championships routine finals. 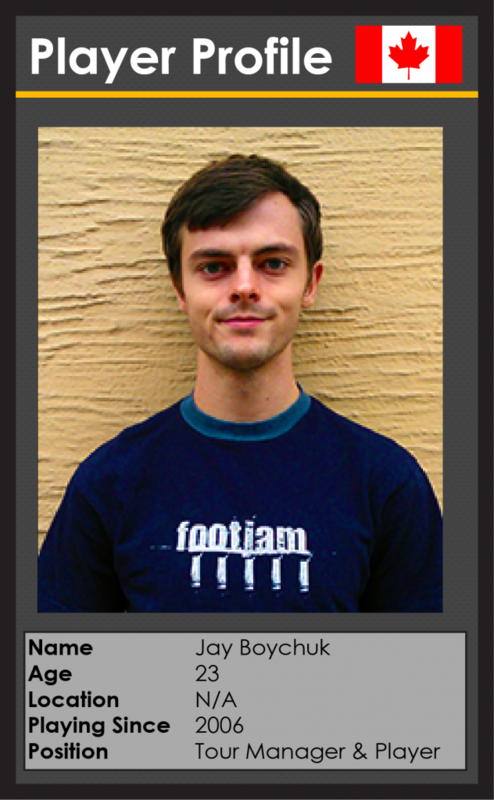 Prior to this he was known for his great work in producing quality tutorial videos, bringing thousands of players an accessible way to learn freestyle footbag. In 2009 he was officially made a BAP member, titled “The Accelerator”. Anssi’s next big achievement was winning silver medals in both circle and routine finals at the 2011 World Championships in Helsinki, Finland. 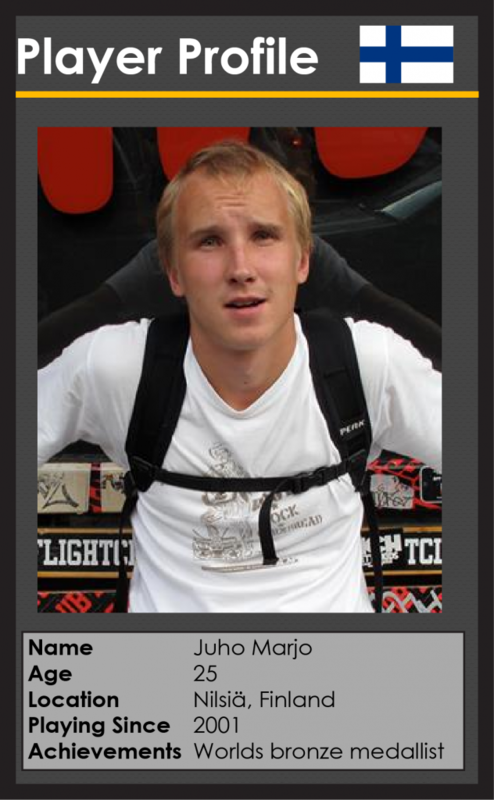 Juho Marjo has been a major contender since 2005, when he was inducted into BAP as Juho “Super” Marjo at the 2005 World Championships in Helsinki, Finland. Following this, he has won countless video contests, had a supporting role in footbag’s highest production film, BOTS, was featured in Feelmax Footwear commercials, and even took the Bronze Medal for Finland in the 2006 World Championships. The footbag community waits in anticipation for his annual Joulu-Jupe video series, the most publicly discussed and shared video each year. 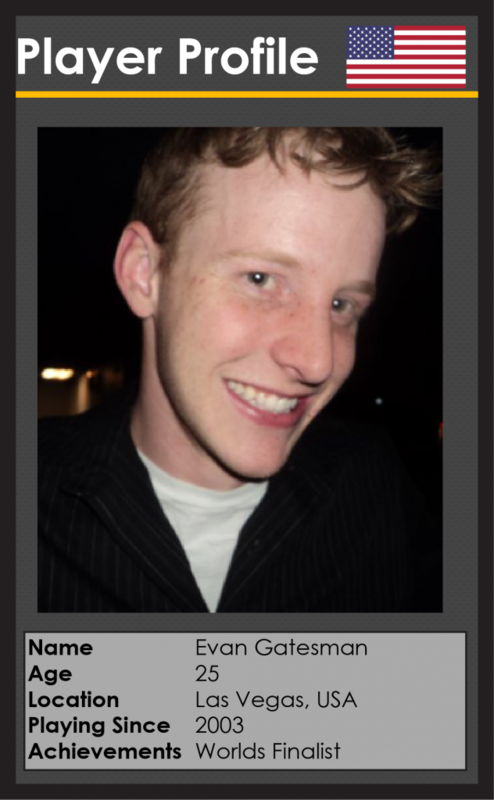 Evan Gatesman was recognized by all as a world class player in 2010. Evan dominated the sideline shred at the World Championships in Oakland California, where he was then inducted into BAP as “The Silencer”. He has since made Circle Finals at both the 2011 and 2013 World Championships. Evan has also ran annual tournaments in his home town of Las Vegas, attracting players from all over the world. 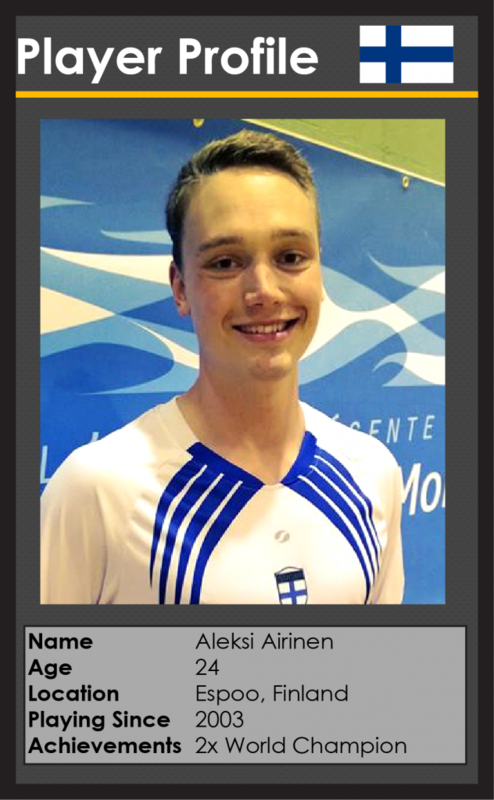 Aleksi Airinen rapidly advanced into the top ranks of footbag, making BAP in 2006 as Aleksi “Air” Airinen. Today he is one of the most varied players, receiving World Championship medals in Circle Contest, Routines, and winning 2 gold medals for Shred 30; objectively the most technical event. In recent years Aleksi has been footbag’s most traveled competitor, competing in nearly every major tournament in Europe, as well as in Chicago and Montreal. Milan Benda exploded into the scene, showing up to the 2007 World Championships as a completely unknown player, proceeding to make it to routine finals. 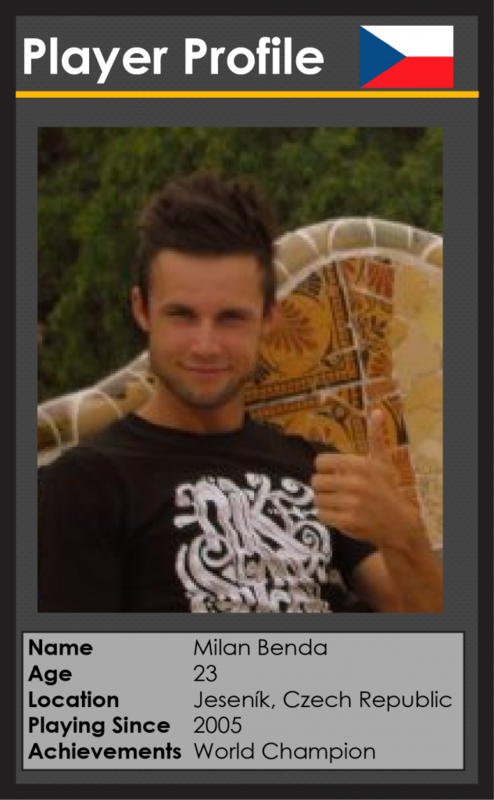 He made it into BAP at the 2009 World Championships, where he was appropriately given the title Milan “Megatron” Benda. From 2007 until 2012 he was in every world championship routine final, becoming a world champion in 2010. Not only is Milan one of footbag’s most fearless competitors, his public routine history is among the highest ever in the sport. Jay Boychuk is Canada’s highest internationally ranked competitor, having been to 5 World Championships and 50 tournaments over his career. He has worked on dozens of footbag projects, and due to his extensive travel experience and position in the community, is managing the Sport/Life Eurotour. Having invented several hundred tricks throughout his career, he was given the BAP title “The Creator” at the 2011 World Championships in Helsinki, Finland.